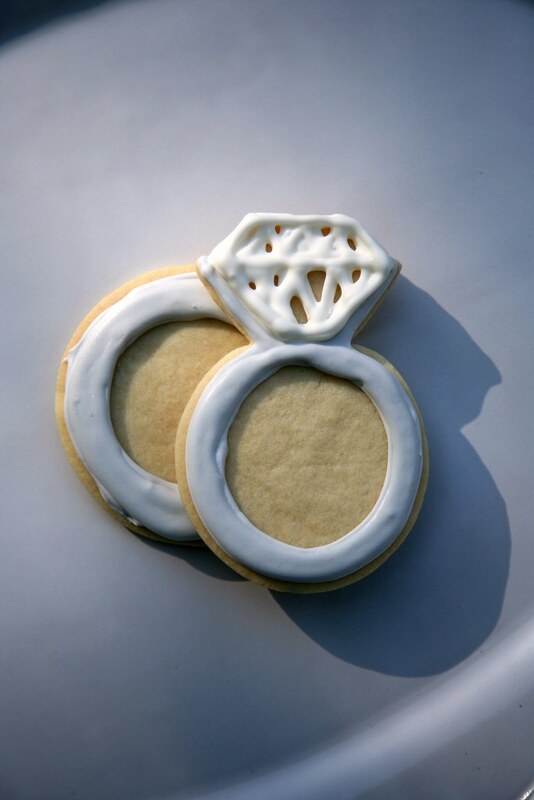 Here Comes the Bride's Cookies! 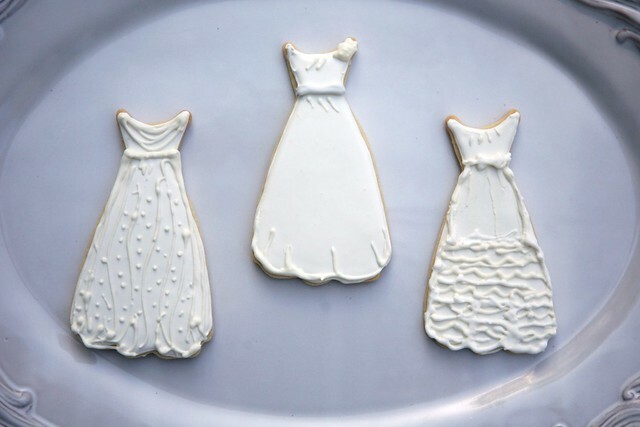 For my friend Jenn's wedding, I wanted to make her a set of decorated sugar cookies to give to her at her rehearsal dinner. 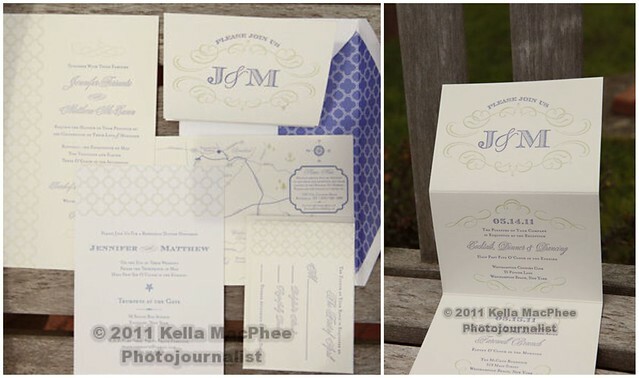 Jenn is a very talented graphic designer so I used her beautiful wedding invitations (which she designed herself, clearly) for the royal icing color and cookie design inspiration. 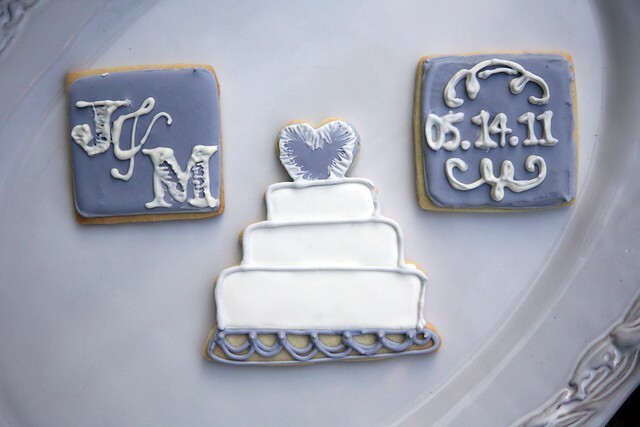 Here are monogram and wedding date square cookies as well as a 3-tier wedding cake cookie with heart on top. 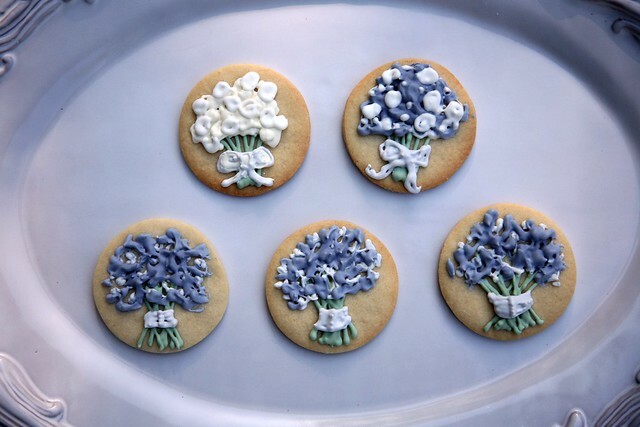 Flowers! 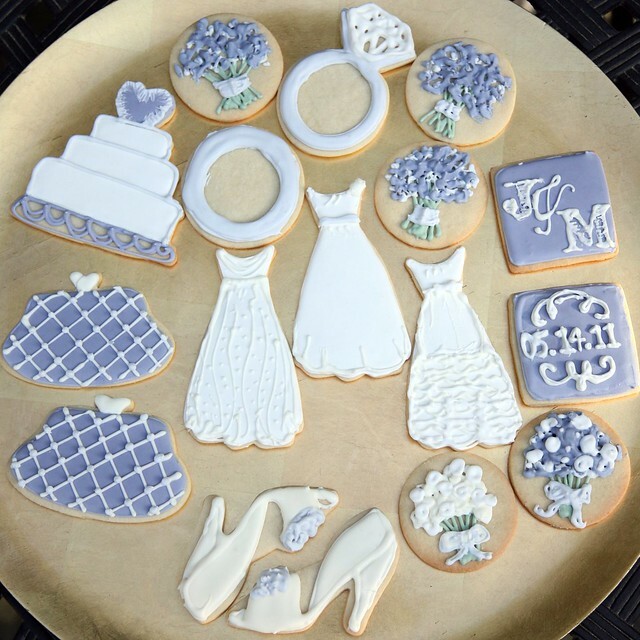 Bridal, maid of honor, and bridesmaids' bouquet cookies. 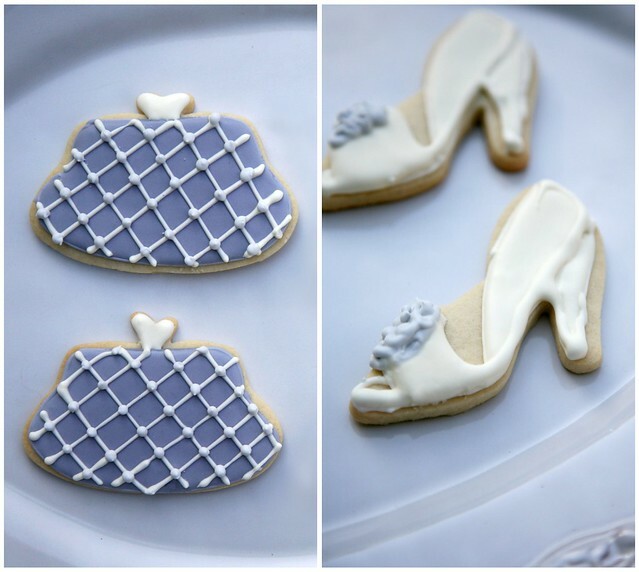 A pair of bridal shoes and clutches.